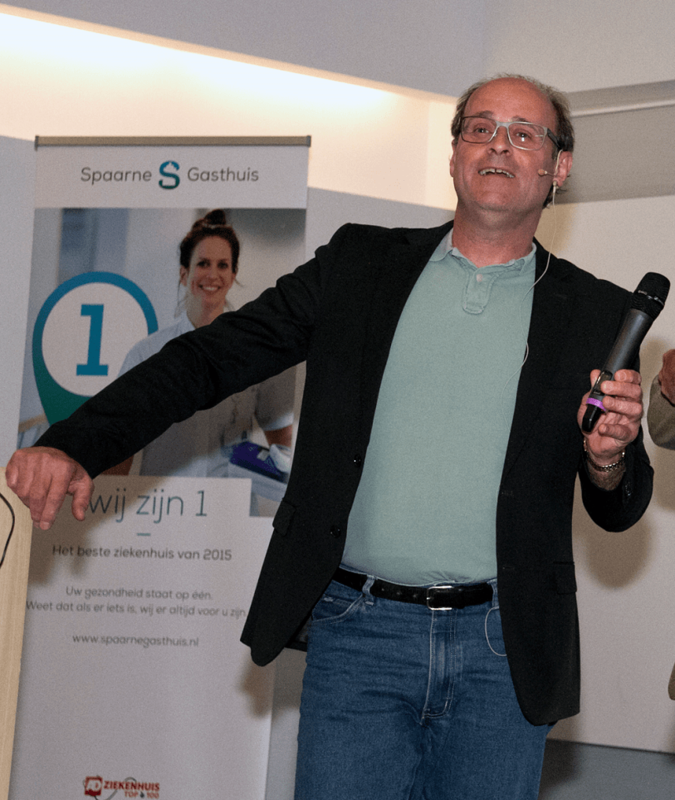 Edo van Santen (1958) is an Elevator Pitch Coach/Trainer, Presentation Coach/Trainer, Public Speaker and Presenter, Media Trainer and innovative entrepreneur. Since 2005, Edo van Santen has guided ambitious, innovative and enterprising people to give their presentation or Elevator Pitch in the best way possible. Edo has founded or co-founded multiple companies, ensuring they get off the ground successfully. Edo van Santen has over 30 years of experience. Not just in coaching and training individuals, but also as a businessman in the hectic international world of banking and the ICT industry. He has worked for Fortune 500 companies such as ABN Amro, Chase Manhattan and KPMG in Amsterdam, New York and Silicon Valley, helping clients all over the world. In 12 years’ time, he established the ICT company Qubus, which was acquired by KPMG. Edo's approach is highly personal and uniquely dedicated. He knows how to earn his clients’ trust and how to support them with a healthy dose of energy and intelligence. He works from a place of independence, integrity and security. Because of this, he has gained broad experience with all aspects of doing business and entrepreneurship. He is hands-on and practical in his approach and knows how to lift his clients to an advanced strategic and conceptual level. In addition to getting the best out of his clients as a coach and trainer, Edo is also an experienced entrepreneur and investor. Edo van Santen has worked in the corporate world, for SME's and in venture capital. This enables him to not only optimize your presentation techniques, but also to offer you advice on the content of your presentation or elevator pitch from an insider’s perspective. He can teach you to tailor your message to your target group, putting banks, venture capital and informal investors, fellow entrepreneurs and potential clients all within your reach. Edo has an entrepreneurial spirit and a natural passion for helping companies and individuals develop their innate potential. That’s the reason he chooses to work with ambitious and entrepreneurial people, those who strive for a higher level of professional presentation and communication. More info on Edo van Santen can be found on the Press and Media page. Who is Edo van Santen?